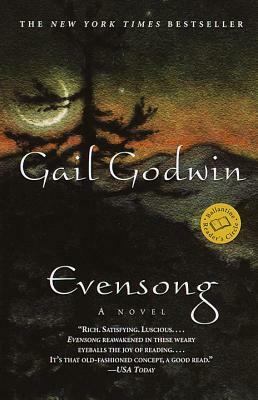 To read Gail Godwin is to touch the very core of human experience. With inimitable grace and aching emotional precision, Godwin probes our own complexities in characters whose lives oscillate between success and struggle, stoic resolve and quixotic temptation, bitter disappointment and small, sacred joys. Now with Evensong, she again translates our everyday existence into soul-touching truths as she brings to brilliantly realized life the people of a small Smoky Mountain town--and a woman whose world is indelibly altered by them. Gail Godwin was born in Alabama, grew up in Asheville, North Carolina, and received her doctorate in English from the University of Iowa. She has taught at Vassar College and Columbia University and has received a Guggenheim Fellowship and the 1981 Award in Literature from the National Academy and Institute of Arts and Letters. Her short stories, essays, and articles have appeared in numerous magazines and newspapers. Three of her critically acclaimed novels, The Odd Woman, Violet Clay, and A Mother and Two Daughters, were nominated for the National Book Award. Her other highly praised books include The Good Husband, Glass People, The Perfectionists, Dream Children, and Mr. Bedford and the Muses. "Rich. Satisfying. Luscious . . . Evensong reawakened in these weary eyeballs the joy of reading. . . . It's that old-fashioned concept, a good read." "A DEEPLY CONSIDERED, EVEN DIGNIFIED NOVEL . . . One stays engaged with the story for sheer narrative hook: As with story lines from Dickens . . . you simply want to find out who does what to whom. . . . The final beauty of Evensong is its ability to address God--to address the mystery of faith by comprehending, then embracing, this premise of uncertainty itself." "EVENSONG LINGERS IN THE MIND. . . . Meticulousness and precision are, indeed, Godwin's greatest strengths. In matters liturgical and clerical, her command is impeccable." "[A] SENSITIVE, PERFECTLY PACED NOVEL . . . A story full of fresh, spiritual wisdom . . . Smashing one of the strangest taboos in American literature, Godwin may have finally brought religion back from the wilderness and made it a safe subject for literary fiction." "[A] RICH NEW NOVEL . . . with the narrative verve and moral gravity that made earlier novels of hers so appealing."